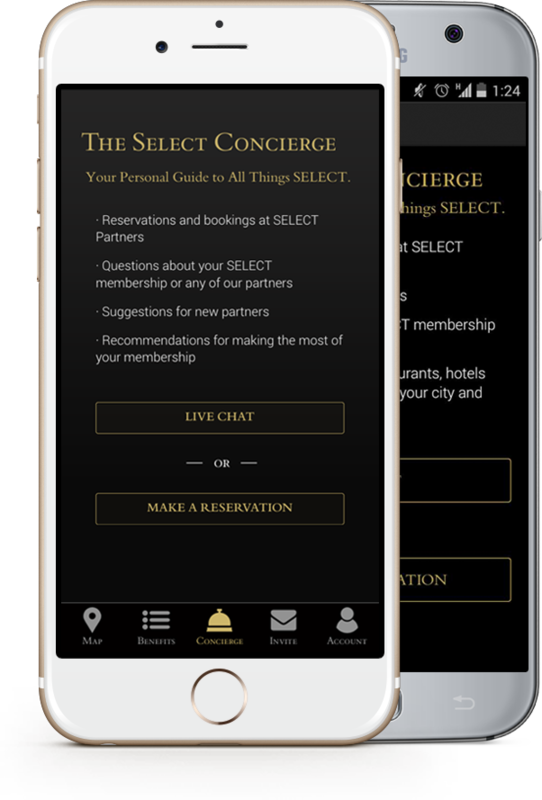 SELECT is a private membership community that provides access to exclusive events, pricing, and perks at over 600,000 of premier partner locations across the globe. 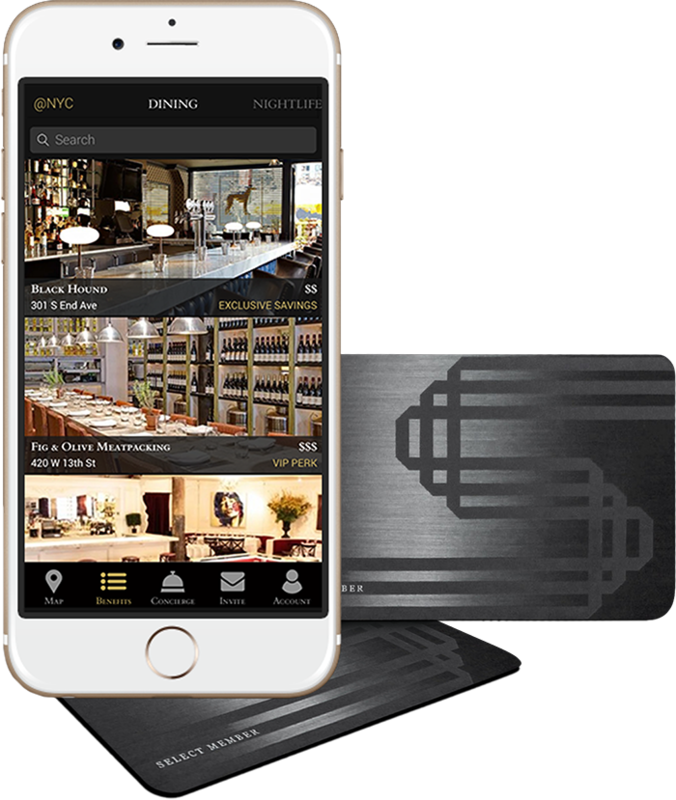 SELECT partners with elite restaurants, hotels, nightlife venues, retailers and more to give you access to VIP treatment in your city and across the globe. From unpublished rates at 500,000+ hotels, to complimentary cocktails at the hottest dining & nightlife venues, SELECT perks are available any and every time you go. As a member of the SELECT Community, you gain access to private events including complimentary cocktail hours, rooftop soirées, gallery openings, menu tastings, galas and more. Unpublished rates of up to 70% off the lowest available at over 500,000 hotels across the globe. Members receive priority access and 20-30% off the full bill or experiential benefits such as complimentary drinks or guest list access for your entire party at hundreds of the country’s most popular restaurants and nightlife venues. Get out and active, with special pricing and access at sporting events, concerts, activities, and so much more. Treat yourself with premier pricing and access to top brands from spas and gyms, to apparel and accessories, and enrich your lifestyle wherever you are. At your service, wherever you go. Available online or through the mobile app, our white-glove concierges are there to assist you with everything from booking hotels, restaurants, and nightlife, to making personalized recommendations, and more. Never wander alone again. Members enjoy fine art and cocktails at the US debut of McAlpine Miller. Members enjoy a private dining experience featuring a 4-course meal, 2-hour open bar, and live sushi filet by TAO’s executive chef. Members enjoy complimentary cocktails and networking. Receive regular invitations to SELECT’s member events, which allow our diverse community to connect and enjoy each other in a variety of settings. These include gatherings like menu tastings, cocktail receptions, fashion shows, gallery openings, speaker series and more. 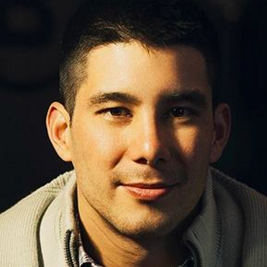 SELECT and their concierge make planning the perfect date night easy! The dining and nightlife partners are some of the best in New York. SELECT has been an amazing investment for me and it's been far more beneficial to me than any card I've ever owned. I love that they add new benefits nearly everyday. 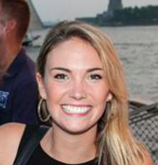 Being able to get complimentary rounds, insider pricing and more at luxury venues and brands has been incredible. 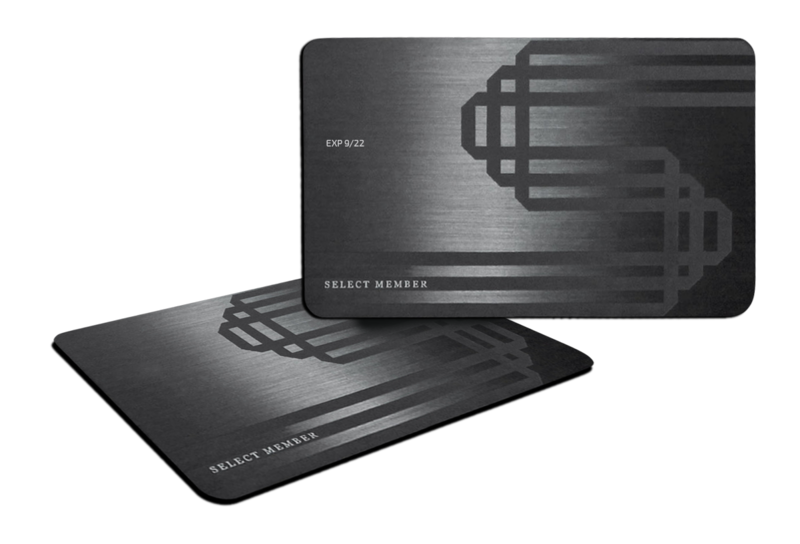 For each accepted member, SELECT creates a personalized black metal membership card. Members have the choice to link the card with any preexisting credit or debit card, turning it into the ultimate payment option.